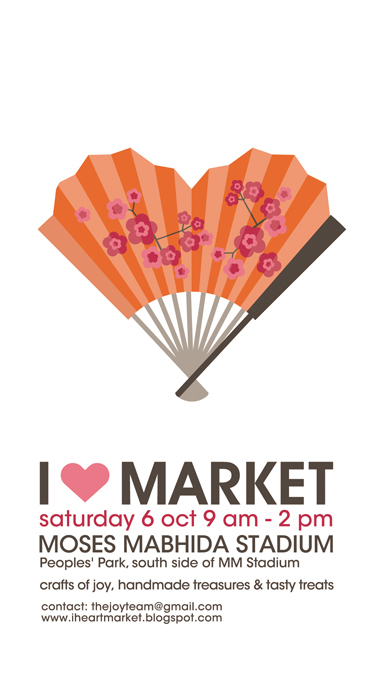 Wrap for You: I Heart Market this weekend! I Heart Market this weekend! Don't forget, if you're in the Durban area this weekend, come on down to the Peoples' Park at the Moses Mabhida Stadium on Saturday, between 9 - 2 to do some Christmas Shopping at the I Heart Market. I'll have my Christmas ribbons available too so you can get yourself super organised, well in advance! No fighting through the last minute shopping mall Christmas crowds! Park at the King's Park Swimming pool and walk across!